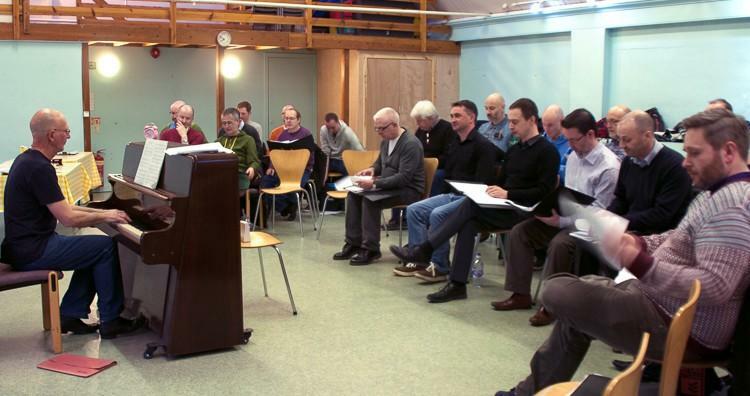 An RSS feed (or news feed) is a means by which you can stay informed about what's going on at Edinburgh Gay Men's Chorus without having to regularly visit the website. The Edinburgh Gay Men's Chorus was founded in 2007 by our music director, James, with the help of a small group of friends. We set out to create a fun, supportive, social group for gay men that also raises funds and awareness for local charities and causes. Representing our community through song and giving gay men an opportunity to express themselves. With around fifty members now, EGMC has grown from those small beginnings, but our purpose today is unchanged. Our repertoire is diverse and includes barber shop, showtunes, pop, American classics and traditional Scottish songs. EGMC has a committee that work together to ensure the choir can continue to run and grow. EGMC performs two major concerts a year, Edinburgh Gay Men's Chorus is also available for charity and private events both indoors and out, big or small. We believe it is vital to support local charities and we love singing at events in support of charities. Check out our events section for details of our forthcoming performances or if you would like to book us for an event please go to our Book Us page. We hope to see you at one of our events soon! Or if you’re interested in singing with us, see the membership section.